Rajasthan Patwari Answer key 2016 - Download RSMSSB Patwar Pre Exam solution Set A, B, C, D answer key : Rajasthan Subordinate and Ministerial Services Selection Board (RSMSSB) had conducted Prelim. test for Patwari posts on 13 February 2016. Multiple choice objective type questions have been asked in the examination. The Preliminary exam was of 3 hours duration and carry 300 marks with 1/3 negative marking for wrong answers given by candidates. Those candidates who had appeared, can download RSMSSB Patwari Exam answer key 2016 from the direct link given below. RSMSSB had conducted Patwari Preliminary exam on 13.02.2016. Candidates have to download Rajasthan Patwari answer key from the official website rsmssb.rajasthan.gov.in via the direct link given below. Here are the unofficial answer key of Rajasthan Patwari Pre exam held on 13.02.2016. More sets answer key will be available soon. Earlier Rajasthan Subordinate and Ministerial Services Selection Board had completed the process of getting applications for Patwari. The Pre test was held at various district centres of Rajasthan. Those who got selected will be placed in pay scale of 5200-20200 GP 2400. Official Patwari answer key are going to be released by RSMSSB Rajasthan in upcoming days. Unofficial answer key are also going to be posted here after the exam. 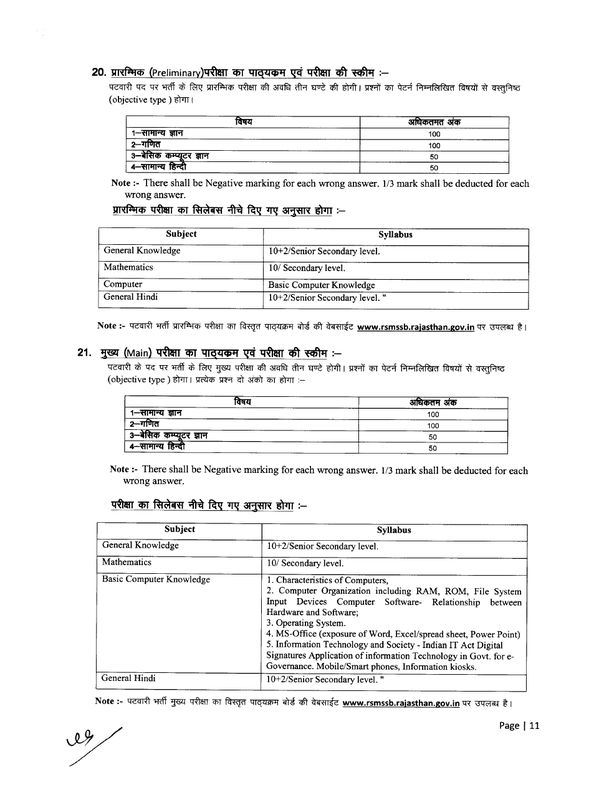 The test will be held at various centres in Rajasthan and questions are of 10th/12th level depending on section. Candidates can apply for Objections regarding Question Paper of Direct Recruitment for Patwar - 2015 Exam from 13/02/2016 at 03:00 PM To 16/02/2016 at 03:00 PM at link given below. After the release of official ans. key, objections will be invited. Here you will get the answer key of following. 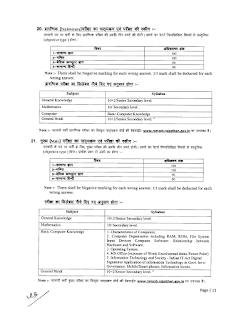 The answer key of RSMSSB will be available online at official website rsmssb.rajasthan.gov.in. Those who qualify the pre exam will have to appear for Main exam. After receiving objections against official answer key, final answer key will be released and marking will be done according to that. The Rajasthan Patwari Result will be published based on these final keys. Candidates need to visit the direct link provided above to download the answer key of RSMSSB Rajasthan Patwari Pre exam after release. It will take you directly to download page. Their Rajasthan Patwari answer key 2016 will be available here for all sets and all questions. Marking will be based only on official keys. Unofficial keys are just for giving an idea and they cannot be 100% correct. Candidates are advised to match their answers with official ones after release.